There's a new mall that has opened in Banqiao. It's part of the FE21 chain and is called MegaCity 大遠百. It's right accross from the Banqiao MRT station and New Taipei City City Hall and fairly close to the original FE21 mall. The new mall is a very modern took with outward slanted windows. The courtyard in front has been remodeled to include a lower level atrium and a giant Christmas tree in the middle. 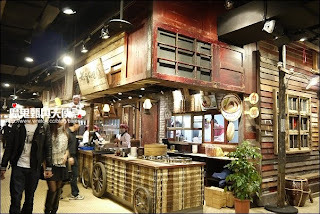 The Interior design of the food court area is awesome. It's modeled after Venice. 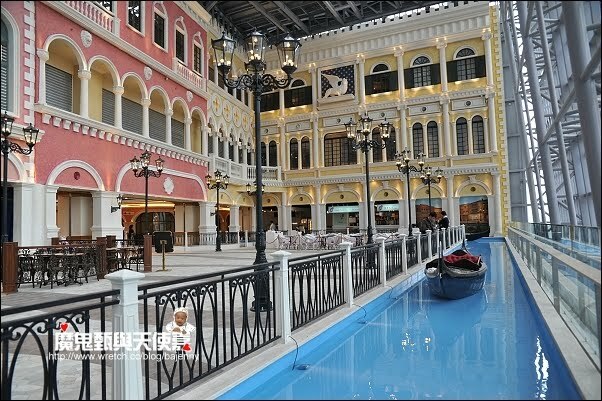 So there are Venetian boats in a water filled canal, a 3 story Venetian building facade and lamps, pillars and walkways all tying into the theme. In fact I shouldn't say it's the food court, but the restaurant avenue. The basement floor is the food court. Don't worry, they created another themed world of visual delight there too. The Food Republic, the name of the food court, is painstakingly modeled from ceiling to floor to resemble the 40's era of China/Taiwan. They have rustic store fronts, with wood paneling, clay shingles and wooden beams. The old wooden chairs, lanterns, and various decorative items (including some old rusty bikes and straw baskets) help bring the atmosphere back 70 years. It's part museum and the coolest food court I know of in Taipei. But moving on, my parents, my cousin and I decided to try out one of the restaurants on the Venetian floor (9th i think). However it's Chinese New Years and most of the restaurants were booked, limiting our choices. 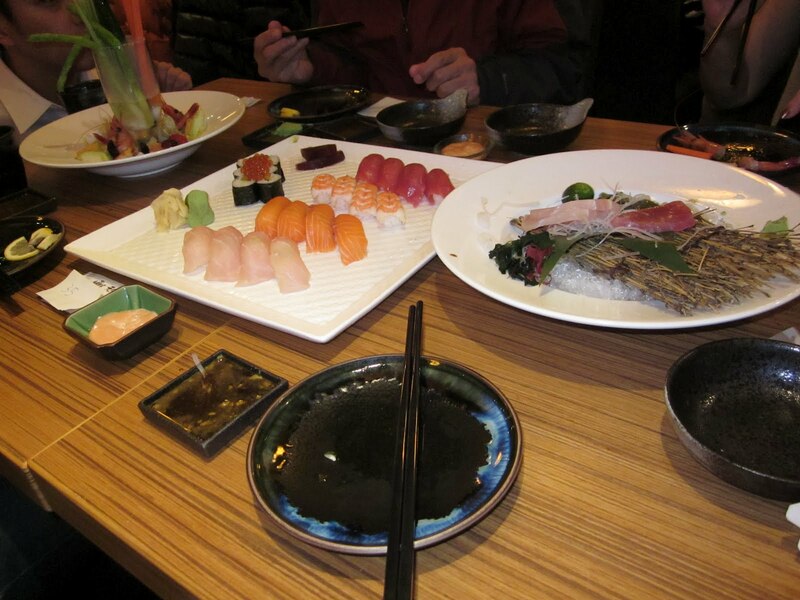 Fortunately we were able to get a table at Irodori Sushi, one of our top choices. The interior resembles a simple and humble Japanese restaurant, not thing to elaborate much about. After sitting, we quickly decided on a set meal for 4. It turned out to be way too much food. 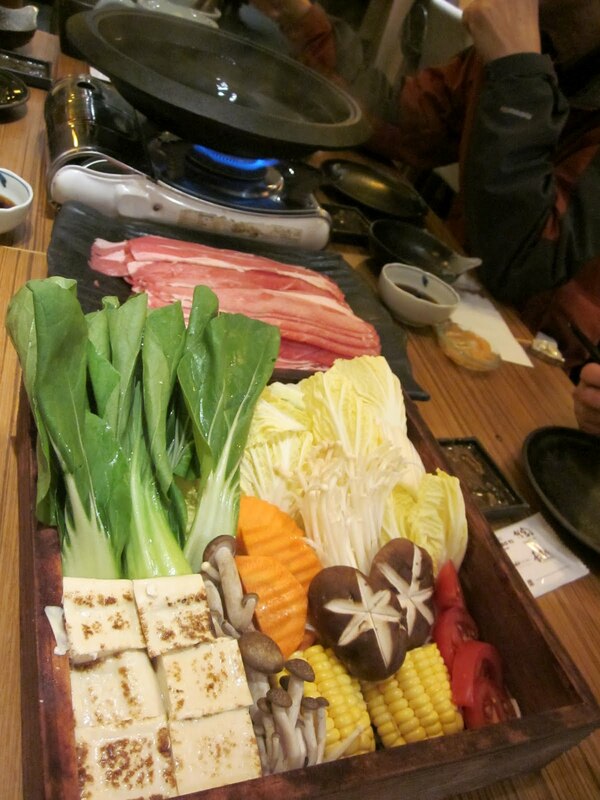 After the salad, vegetables sticks and loads of sushi, there was still the hot pot. The beef that the hot pot came with probably weighed in over 2 kilograms. If you click through to the original image size, you may be able to make out the thickness of the pile 'o meat. Consequently, less than half way in, we all quit and called for a doggie bag. The quality of the sushi was excellent and the presentation was great. The bill ran into just under $1000 NT per person, so it's not going to be a cheap meal unless you stay away from the sushi. But note for the future, the set meal for four can definitely be split more thinly with 5 or even 6 people. The price will definitely be worth it for five people. Nice place overall and recommended. Great Venetian atmosphere, great service and perfect for a lazy saturday after some shopping (for people with fat wallets). Perhaps I appreciate it more that it's not on my checkbook. So big thanks, Mom and Dad! 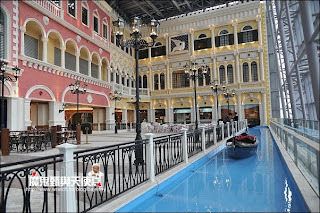 *MegaCity Venetian floor and Food Republic picture credit goes to http://www.wretch.cc/blog/bajenny. Thank you!